Street foods often reflect traditional local cultures and offer a unique cultural experience to tourists and even to ordinary consumers. It is all about the street food these days, and why not? It’s fresh, fast, cheap and a great way to crack into the local scene. 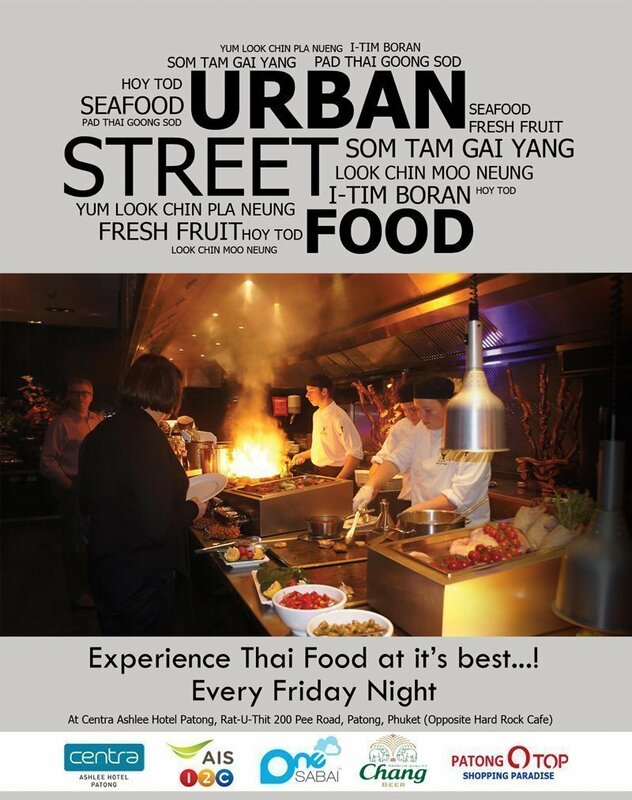 Join the “Urban Street Food Festival” taking over in front of Centra Ashlee Hotel Patong on every Friday nights from 04:00pm to 11:00pm to source the best street eats from markets, food carts, street cafés and other hard-to-find-but-totally- worth the effort secret spot. Diners can sit down to eat and drink together in a communal seating area while listening to live music from a changing line-up of DJs every week. Please contact 076-349800, 081-1710115 for more information.